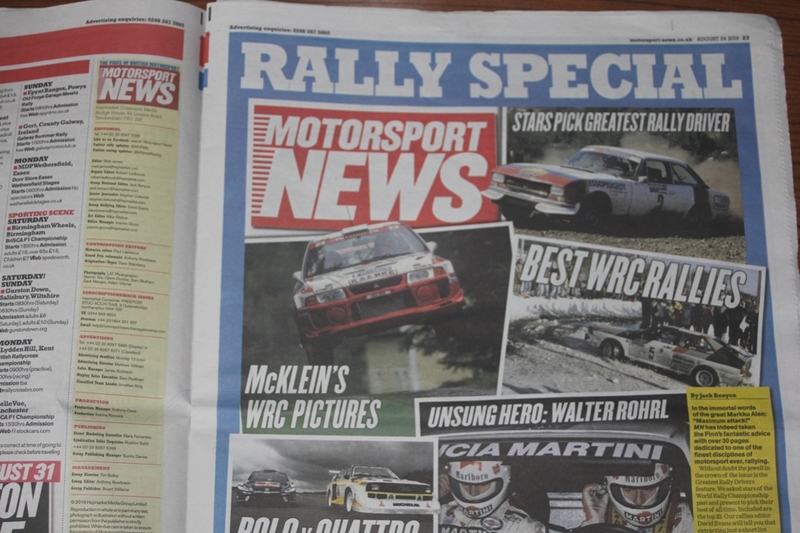 I know many of you have stopped buying the weekly 'Motorsport News' but this week's issue (Wed 24th Aug) might be a bit more tempting. 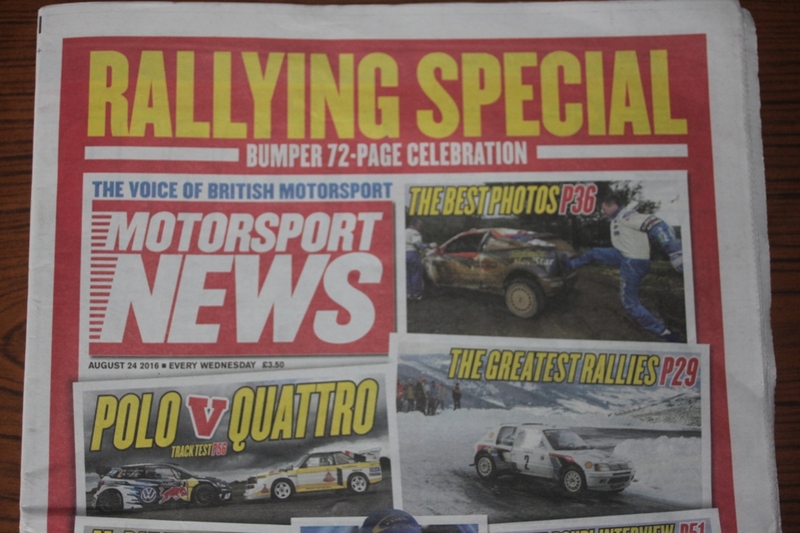 Included in this bumper 72 page edition is a special Rallying Supplement. I might be ever so slightly biased (and no, I didn't write any of it) but I fair enjoyed the additional content. The cover price may be £3.50, but that's still cheaper than a Costa cappuccino and a bun - so go for a tea and a roll and sausage from a lay-by caravan instead, and buy the paper for a read.